Trailblazer Brass Alcohol Burner With Screw-On Lid | BUDK.com - Knives & Swords At The Lowest Prices! 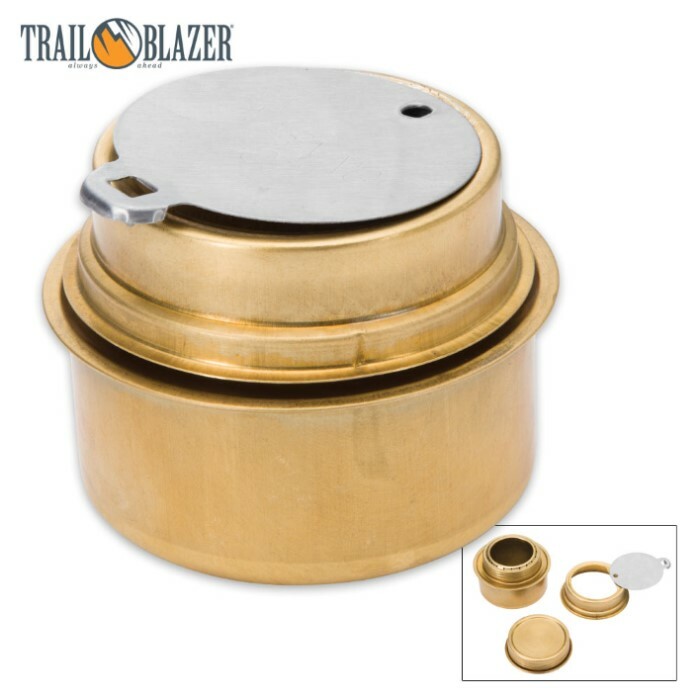 Trailblazer's Brass Alcohol Burner is lightweight, compact and effective - perfect for extended back country adventures where space is scarce and every square inch in your gear is precious. 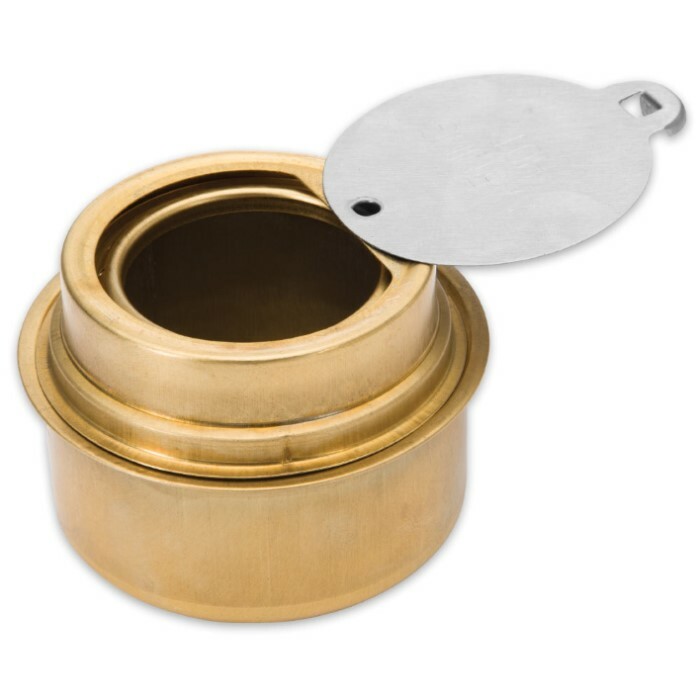 Why lug cumbersome compressed gas canisters, fuel hoses, valves and the like through the bush, when you can glean ample heat and light from this simple 1 4/5" high x 2 1/2" diameter device? It burns inexpensive, easy-to-source denatured alcohol and contains no complicated moving parts or accessories to break or wear out. Just fill it and light it! No worry, no fuss! 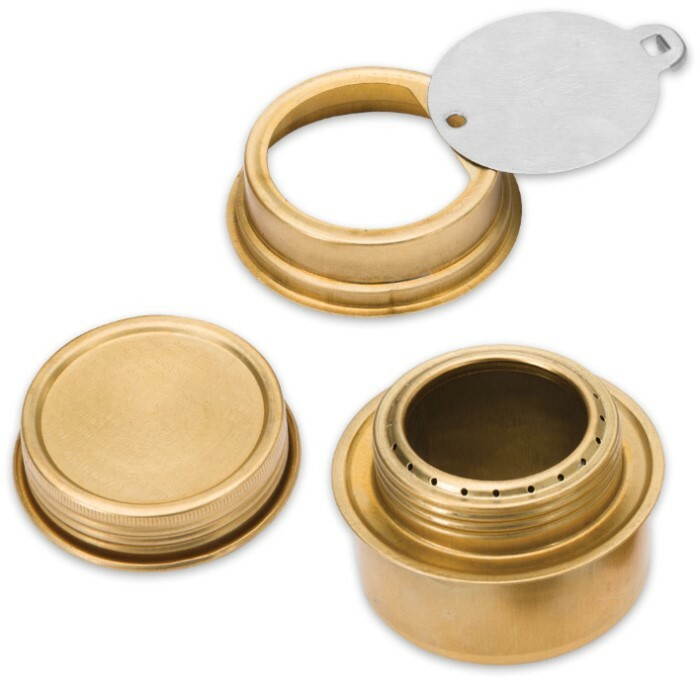 Safe for transport, its rubber sealed screw-on lid stops leaks, allowing you to store alcohol fuel in the burner. No wilderness gear is complete without a Trailblazer Brass Alcohol Burner. Try it once, and you'll see why! Very well made. Good size to take with you anywhere. Real brass. Will last forever. Buy a couple now before the coming disaster strikes. Don't forget the fuel.